SNES JRPG Aretha & GG Platformer Demon Child Zenki Translated into English! 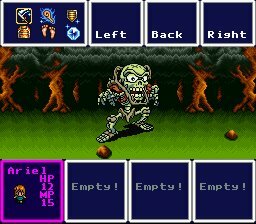 The past few weeks have seen the release of two English language fan translation patches that I worked on. The first, Kishin Douji Zenki (a.k.a Demon Child Zenki), is a side-scrolling action-platformer based on the anime/manga of the same name. Featuring top-notch graphics, this is considered by some to be one of the best platformers on the Sega Game Gear. I dumped the Japanese script, and contributed an editing pass to its translation, while the script translation and further editing were handled by TheMajinZenki and Cccmar respectively. All hacking and graphics work was performed by Supper. Big thanks to all involved! This project came together nicely, and is an effort I think we can be really proud of. If you're a fan of Zenki, or enjoy a decent portable platformer, you should definitely try this game out esp. now that it's in English for the first time. 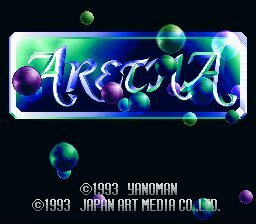 The next project release is Aretha, a traditional RPG for the Super Famicom/Super Nintendo that was released a few days ago by Dynamic-Designs. After translating about half of its sequel, I translated the full script for Aretha, translation of which was completed about 5 years ago. After a lot of effort by teammates; Wildbill, Bongo`, and Taskforce; as well as testing by MariusB, Draken, and Akualung; plus some lengthy delays, we're proud to present a patch to provide this game in English for the very first time! 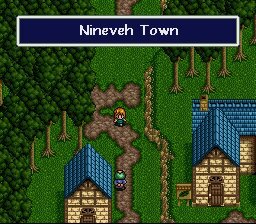 Fans of Super Nintendo era RPGs, of which I know there are many, should definitely give this one a whirl. While I haven't played it myself, the script was fun to translate. Featuring a female protagonist, a cartoony art style, and an epic save-the-world-from-evil plotline, Aretha should tick all the boxes for JRPG fans looking to relive the glory days, or discover another hidden gem in the copious pile of RPGs released in Japan that were never localized... until now! Supper and I have released an English language patch for Magic Knight Rayearth on the Game Gear. Published by SEGA and released on Dec 16, 1994, Magic Knight Rayearth is a cute RPG based on the manga/anime series of the same name. It follows an alternate storyline where Mokona runs off and the three girls have to find them. While nothing is perfect, I'm really proud of the work we've done on this English language translation patch. In about 4-5 months, we've brought a project 14 years in the making to a point where it's ready for all to enjoy. While the game is fairly short at around 4-5 hours, and as Supper mentioned probably a bit rushed in development, MANY folks, myself included, have a soft spot for the original manga/anime series. The game was even supported with a custom Magic Knight Rayearth themed Game Gear system in Japan. It's super cool to be able to play this game in English after all this time. Thank you to those who download this patch and try it out for themselves. 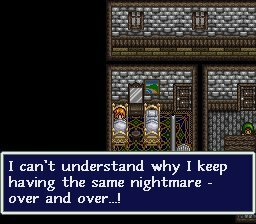 I hope you'll consider leaving a review of the translation patch on Romhacking.net if you enjoy it.